The 51 year old says to the 19 year old …. – Why DO you use so much? – Don’t you know your skin is probably the best it will ever be so why do you insist on covering every millimetre of it? – Why do you all use fake tan, even in winter? – Where on earth do you find the money? – Are you sure you are going to all this effort for you – and not because your partner thinks you should look a certain way? – Do you really need powder? – What’s with the eyebrows. Sometimes they’re so heavy they’re the main focus of your entire face. – False eyelashes – how on earth do you get them off? – How many of you are really going to festivals in those floral headbands? – Don’t you know that changing your nail varnish daily is probably wrecking your nails? – Do you know how lucky you are to wear red lipstick without it bleeding into your lip lines? – Do you really need an arsenal of make-up brushes? – How many mascaras do you really need – don’t they all do the same thing? – You probably don’t need toner. Or facial mist. – Do you realise that in many jobs you’ll be taken more seriously if you wear a little less makeup? – Do you know that sleeping in makeup will create extra laundry and give you spots? 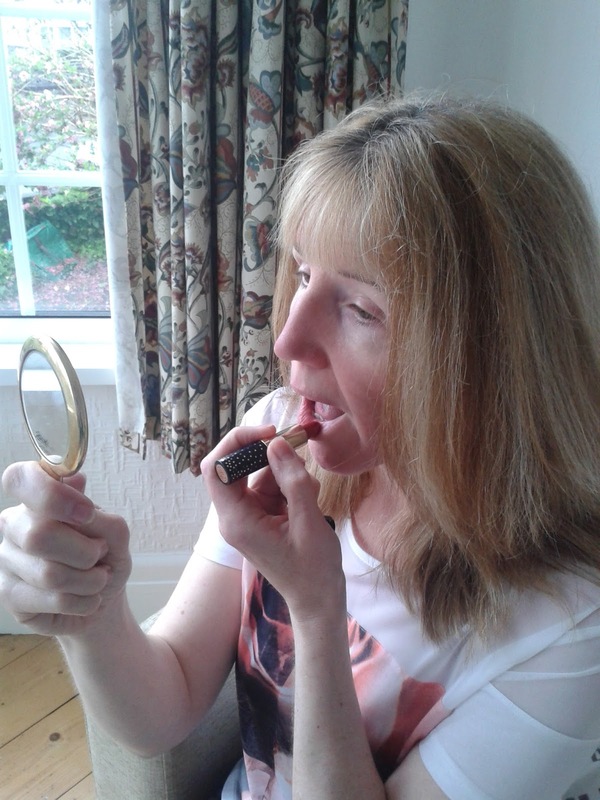 The 19 year old says to the 51 year old …..
– I love playing and experimenting with make up, being able to lift and change your face just by applying it in the right way is fascinating. – Just because you’ve got married doesn’t mean you have to stop wearing make up and experimenting with it. – Light and well applied make up can make an older women look ten years younger. – Make up is fun, experiment with colours, there are so many! – In work make up is my war paint. Being so young means it’s hard to get people to take you seriously. – Well applied make up, a thick skin and a hard attitude go hand in hand in being taken seriously. – If older women think younger women are pretty without make up/don’t need make up or should wear less make up then why do I get so many older women asking what products I’m wearing and what techniques do I use? – When you have a career and a family I understand you’re busy but time out for yourself is important for looking after yourself. Even just taking five minutes to paint your nails can relax you. – I wish I had your experience and your attitude so people would take me seriously with or without make up. – You don’t have to spend a lot of money, or put on a lot of make up to look different. – We use lotions and potions to get our skin to stay as young for as long as possible. – Sleeping in your make up once after a long day in work or a hectic night out won’t ruin my skin forever. – Make up makes me feel confident, I don’t wear it for anyone else but me. – Embrace us young un’s as we are, we like our make up now but maybe when we get to where you are now we’ll have a completely different view. We’ll have to wait and see. Ffion Davies is a nineteen year old soon to be university undergraduate. She is a blogger, feminist and tea enthusiast who spends most of her free time in her bedroom creating content. Her purpose in life is to encourage, inspire and motivate women and girls all over the world to stand together. Ffion blogs at www.asouthwalesblog.com. Linda Hobbis is the 51 year old writer of this blog who remembers a time when she was equally feisty and a flag waver for female independence. Today she spends most of her time wrestling with a recalcitrant 5 year old with a vegetable phobia and trying to understand the philosophy behind My Little Pony. Her make-up routine has sadly never progressed much further than Rimmel’s gold eyeshadow and Heather Shimmer lipstick. "I’m Going To BritMums Live 2015!" This is great! A fantastic idea for a post – I'd love to see this on a variety of topics. Awesome post! I love the two different perspectives! LOVE this!! Weirdly I'm on both sides of the fence too!! I can absolutely see it from both angles. I LOVE make-up — I don't think I'll ever stop wearing it — but the HD eyebrows? WHAT? No. No. And no. they look like they've been drawn on with felt tip pen! !